The grand finale of the 5th edition of Miss Eco International i.e. Miss Eco International 2019 took place in Cairo, Egypt on 29th March 2019 witnessed the crowning of Suheyn Cipriani representing Peru at the conclusion of the event. She was crowned by the outgoing Filipina beauty queen Cynthia Thomalla. The first runner and second runner-up titles were won by Maureen Montagne representing the Philippines and Jordan Elizabeth representing the USA respectively. 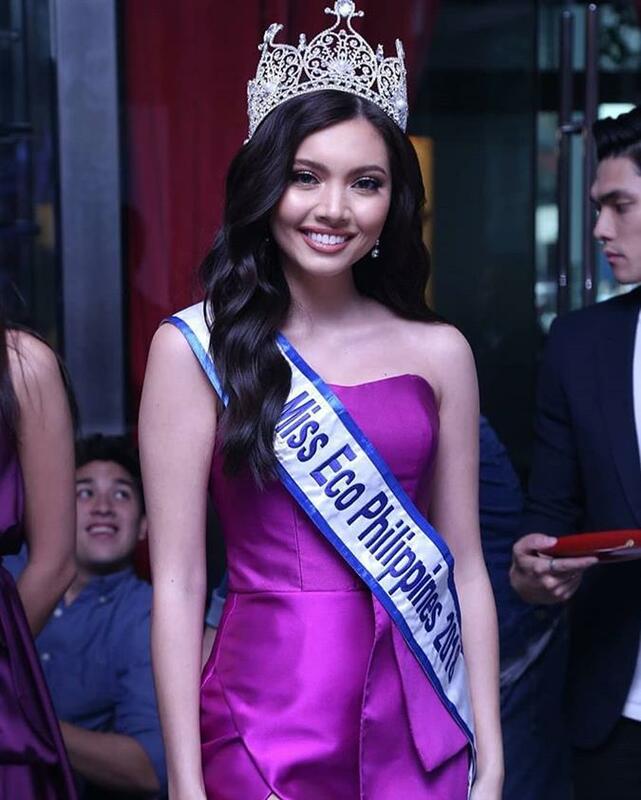 Maureen Montagne who was one of the favourite contestants among the pageant fans for the title of Miss Eco International 2019 almost gave the Philippines a second back to back win in Miss Eco International pageant as the title was earlier held by Cynthia Thomalla from the Philippines. The beauty was expected to fill in big shoes of her predecessor. Even though she could not secure the title of Miss Eco International 2019 she performed exceedingly well in the pageant. From the very first preliminary round of Miss Eco Dress, the American-Filipina beauty spread her charms by wearing a white coloured gown made of recyclable material and managed to carry it extremely well. She looked angelic with her confident smile on her face, wavy hair and white earrings. Maureen’s previous pageant experience definitely helped her to be more determined and confident than other contestants on the stage. She easily locked her place in the Top 21 finalists competing for the title. Then Maureen got a chance to represent herself beautifully in a shiny silver knee-length dress. The 25-year-old looked gleaming in the sparkly silver dress. This preliminary round gave her the chance to flaunt her beautiful body and showcase her incredible runway skills which must be a piece of cake for the diva as she is a professional model who has garnered plenty of experience in walking on stage and presenting herself with grace. Maureen got loud cheers by the Filipino fans present at the pageant when her name was announced in the Top 10 finalists. She came out wearing a stunning red gown and looked absolutely ravishing. 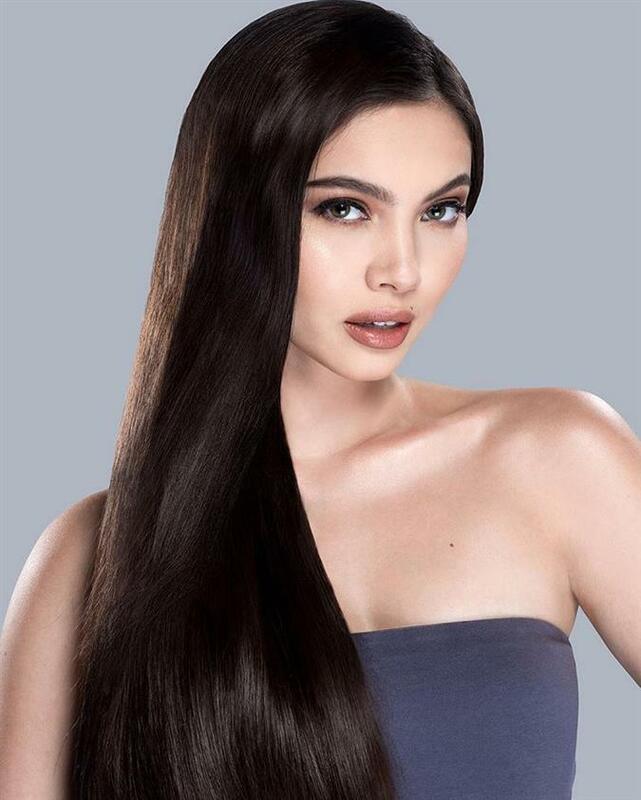 The gorgeous beauty queen then became part of Top 5 finalists which led to a lot of excitement and hope amongst Filipino fans. In the final question and answer round the diva was asked to deliver a message to her younger version if she could get a chance. The diva gave a befitting reply by saying that she would advise her younger self to never give up on her dreams. She advocated self-acceptance and said that her younger self can achieve anything if she sets her mind to. Overall, Maureen’s performance was incredible and she definitely made her country proud by her gracious performance at Miss Eco International 2019.